Manufacturer of a wide range of products which include anionic fabric softeners, cationic softener, nonionic softener, acetic acid substitute, fabric brightener and fabric softeners. Chemtex is involved in the manufacturing of Anionic Fabric Softeners included in the range of Textile Chemicals. Fabric softeners are regarded as chemical compounds that coat the surface of a fabric with electrical charge causing the threads to rise from the surface leaving a soft feel to the fabric. These softeners can be various types - Anionic Softeners, Cationic Softeners, Non-Ionic Softeners, Reactive Softeners and Silicone-based Softeners. Anionic Fabric Softeners are chemical compounds that are used to modify the softness of resin treated fabrics. It is used as a lubricant for fiber. The product is compatible with optical brightener, direct dyes, resins, starch, etc. These are often used together with the conventional cationic softeners and they combine with anionic softeners directly. Chemtex Speciality Limited deals in the manufacturing of complete range of superior quality Textile Processing Chemicals to be utilized in various applications in the Textile Industry. In the textile industry, the majorly used softening agents for finishing process are the Cationic Softeners. The product offered by Chemtex is vastly used on cellulose materials for softening. It helps in enhancing the lubricity of the yarn and serves as an antistatic agent for loose fibre. Nonionic Softener is widely used on synthetic fibres and their blends. Nonionic softener is chemically fatty acid, ethylene oxide condensates etc. 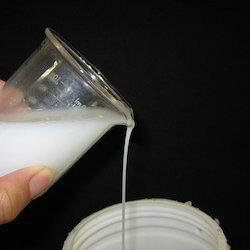 The compound is fairly soluble in water and appears like a creamy paste. Owing to its low-yellowing specific character, it is well suited for garment processing of blue and white jeans. Chemtex offered product Nonionic Softener is compatible with cationic, anionic agents, starch and resin. It can be applied to all types of fibres. It imparts a smooth, soft hand with moisture absorbing and moderate anti-static properties. This product can be applied in both exhaust and padding processes. It doesnot influence dye fastness. It doesnot cause yellowing of fabric. 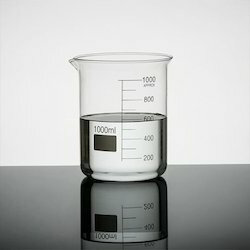 Chemtex's Acetic Acid Substitute is an organic acid having unmatched performance in textile washing, leather tanning, coagulation of rubber latex, nickel plating bath, etc. Acetic Acid Substitute is a very mild organic acid, even at a concentrated dose. Unlike acetic acid it does not cause harmful burns upon skin contact. It contains no distinct smell and does not volatilize. 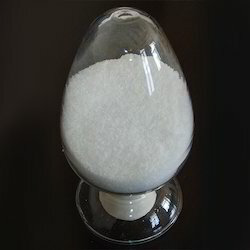 It is also economical when compared to glacial acetic acid or formic acid. Replacing all Acetic Acid functions, Acetic Acid Substitute functions at a much lower dose, also delivering high quality performance. Can substitute pure acetic acid completely as dyeing or neutral in dyeing process. It even holds the low pH for a longer duration as compared with other acids. 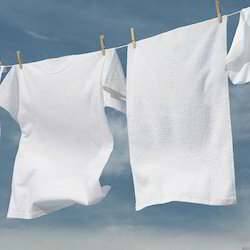 Fabric brighteners are manufactured chemicals added to fluid and powder clothing cleansers to make garments seem more white and brighter, and in this manner more cleaner. They are the current swap for the old routine of dyeing with blue colour to fabric to make it seem more whiter. These added substances are regularly used to improve the presence of shade of fabric and paper, bringing on a "brightening" impact. Fabric Softener (or Fabric Conditioner) is specially formulated for use in commercial and on premise laundries. The product is suitable for application on most types of fabric and can be manually or auto-dosed. These items work by depositing lubricating chemicals on the fabric that make it feel softer/ gentler, lessen static charges, and confers a fresh fragrance. Chemtex Speciality Limited deals with the manufacturing of varied range of quality laundry chemicals lending their assistance to the housekeeping division of different service industries. The range of products that we cater includes Glass Cleaners, Floor Cleaners, Toilet Cleaner, Dish Washing Chemicals, etc. These Housekeeping Chemicals help in maintaining a cleaned and disinfected environment in houses, hospitals, hotels, or any other service industries. Washing Chemicals is widely applicable in the continuous and intervened treatment of all types of fabrics. To remove impurities, mineral oil contamination and sizes from the garments. It is used to remove impurities from the Garment fabric surfaces and temperature helps detergent to enhance its action. Fabric whiteners are manufactured chemicals added to fluid and powder clothing cleansers to make garments seem whiter and brighter, and in this manner more cleanly. They are the current swap for the old routine of dyeing with blue colour to fabric to make it seem whiter. These added substances are regularly used to improve the presence of shade of fabric and paper, bringing on a "brightening" impact. 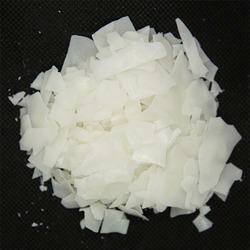 Chemtex formulated product Ethanolamine or Monoethanolamine serves as an organic compound having the formula C2H7NO. 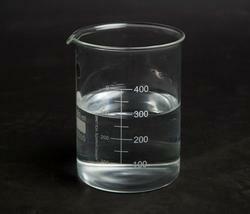 It is a clear, colorless, viscous liquid having an ammoniacal odor. It is produced by the reaction of ethylene oxide with aqueous ammonia. Ethanolamine serves as a feedstock in the production of detergents, emulsifiers, polishes, etc. It is often used for alkalinization of water in steam cycles of power plants, including nuclear power plants alongwith pressurized water reactors. This alkalinization is performed to help in controlling corrosion of metal components. Looking for Laundry Chemicals ?